Well that was one heck of a game. The Boston Celtics played a close matchup with the Washington Wizards, but fell 92-91 after giving up a five point lead with 1:23 to go in the fourth quarter. It was a game that went back and forth through its entirety, with six ties and nine lead changes in the fourth quarter alone. This one was a real heart stopper. Tied at 82 with 3:28 to go in the fourth, Isaiah Thomas rattled off a step back jumper and three pointer consecutively to give the Celtics a five point lead. With 28 seconds to go, Washington had managed to tie the game at 89. 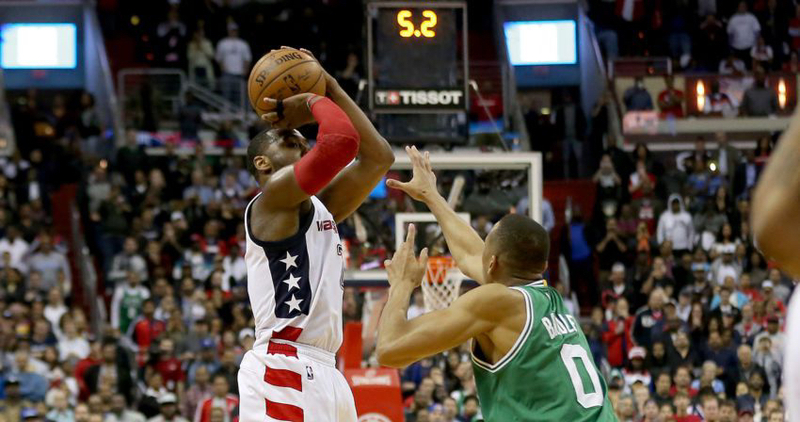 Al Horford appeared to be the savior of the night when he banked in a mid range bucket to put the Celtics up 91-89 with 7.7 seconds remaining, but John Wall answered by stepping into a three to give the Wizards a one point lead. With 3.5 seconds remaining, the Celtics couldn’t execute the miracle play required to overcome the deficit. Thomas was just able to get off a highly contested three, which bounced off the back of the rim. Cheer up, Celtics fans. The home team has still yet to lose a game in this series. Washington had to pulled out all the stops in order to win on their home floor. The momentum is still with Boston, who must take care of home court one last time on Monday night.